There are over 200 chemicals used in conventional carpets. No one has made a serious attempt to determine which of these chemicals is responsible for acute illnesses in certain new carpet owners. Symptoms include fatigue, difficulty breathing, weakness, hair loss, skin rashes, dizziness, depression, loss of memory, confusion, headaches, and burning throats, noses, and eyes. 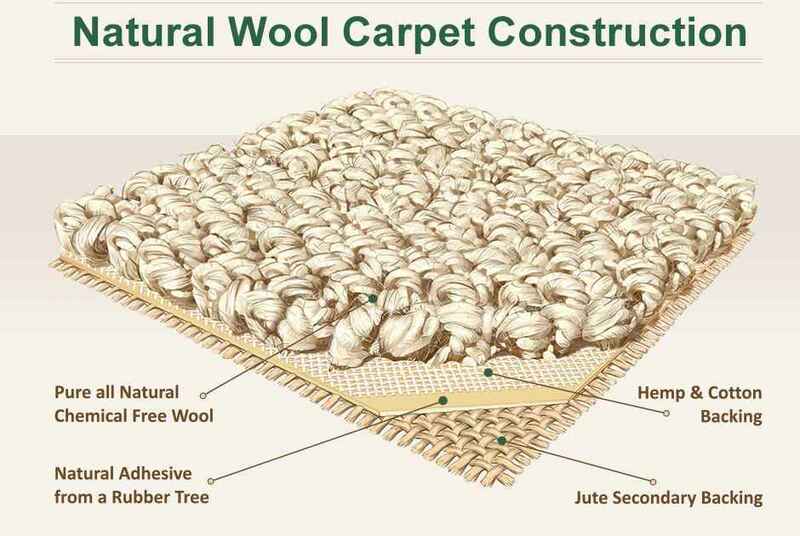 Anderson Laboratories conducted a study of several hundred carpets under carefully controlled conditions. The data demonstrated that certain carpets release toxic (poisonous) chemicals into the air. The mice had the same reactions as the carpet owners: altered nervous system (falling, tremors, paralysis of legs, stupor, and convulsions), irritation to the throat, eyes, and nose, and difficulty breathing. The study can be found in Journal of Nutritional and Environmental Medicine, 1997, Vol. 7, pp. 177-185.